A few years ago, Matt Clemens was in line at the grocery store. An older couple was at the register in front of him, and he remembers watching their faces sink when they realized they didn’t have enough money to pay for their food. As the couple started picking out what wouldn’t be going home with them, Matt stepped in. He gave them a Visa gift card and covered the rest of their bill with his own money. It’s a moment that sticks with Matt — a reminder of how good it can feel to give back and the importance of community. It’s a moment that started with his employer, PeoplesBank. Jess Gehman, left, Christina Baldwin, center, and Ressie Dunn, right, work at the Shrewsbury location. PeoplesBank staff volunteer in Shrewsbury and Hanover during United Way of York County’s Day of Action, Friday, June 22, 2018. Twice a year, PeoplesBank gives their associates $25 Visa gift cards with one stipulation — they have to give it away. Those gift cards spread throughout the community as a thank you, a helping hand to a customer in need, and a way to pay it forward. 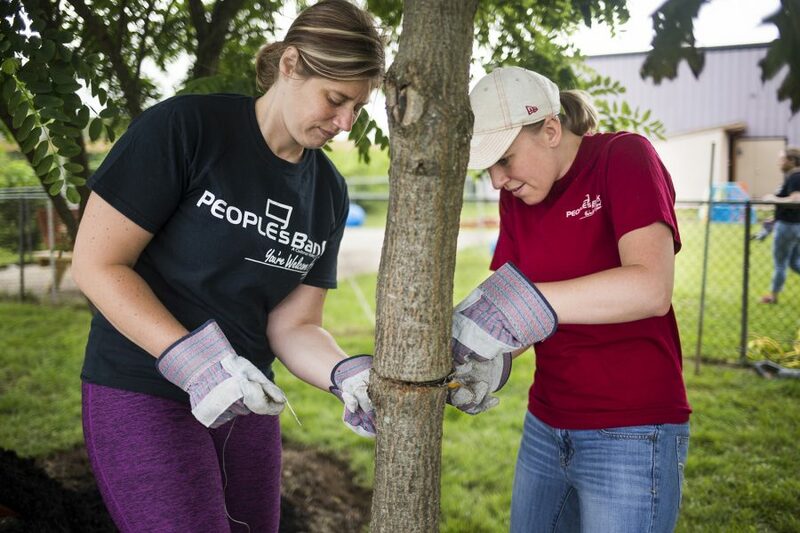 It’s just one of the ways PeoplesBank sticks to its core mission, to help build communities. The bank was founded with that mission when it was established in York in 1864, says Matt, senior vice president and chief administrative officer at PeoplesBank. And the culture remains steadfast today. Every year the associates at PeoplesBank gather for their annual meeting. Even there, the focus is on community. Last year, the more than 350 PeoplesBank employees broke off into teams, assembling bikes that were then donated to United Way. The experience was memorable for application analyst Brooke Bailey, who has been with the company since 2004. 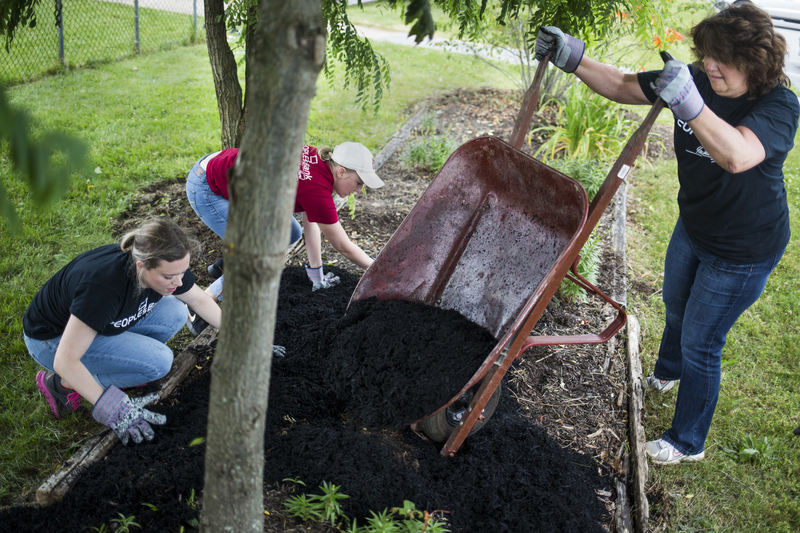 This mission flows into the everyday actions of the associates, who often volunteer with the United Way of York County during its annual Day of Action. These large-scale volunteer projects help foster that sense of community within the organization and stress the importance of supporting those in need. “We are a company that’s there for people in the good times and the bad times,” Matt says. PeoplesBank staff volunteer in Shrewsbury and Hanover during United Way of York County’s Day of Action, Friday, June 22, 2018. As PeoplesBank has grown, expanding into Lancaster County and Maryland, their community focus has remained. When companies strictly focus on results, they can lose sight of their culture and purpose, Matt says. That’s why PeoplesBank doesn’t just focus on banking, they focus on why they were founded in the first place. Diane Baker works at the Hanover location. 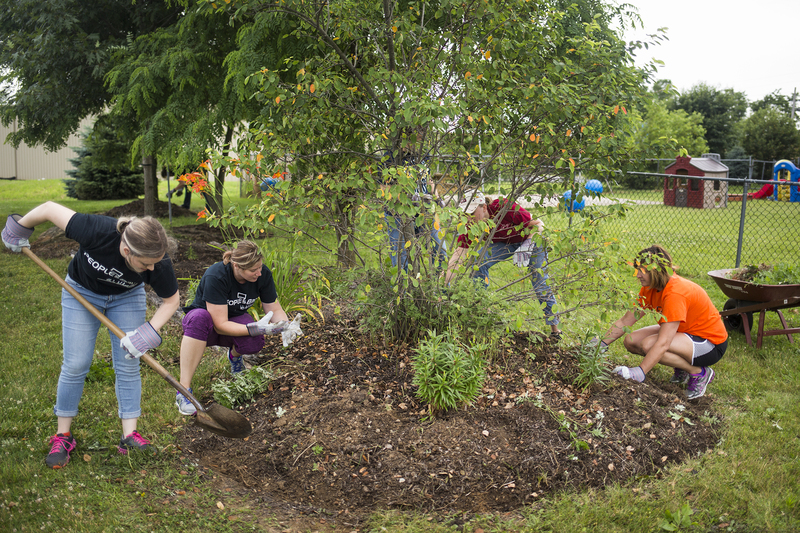 PeoplesBank staff volunteer in Shrewsbury and Hanover during United Way of York County’s Day of Action, Friday, June 22, 2018. As part of the mission to help communities grow and prosper, PeoplesBank associates are encouraged to donate their talents to help on other projects. They’ve worked on homes for Habitat for Humanity, painted tables at Camp Pennwood, and participated in Walk a Mile in Her Shoes for YWCA. After helping sand and paint tables at Camp Pennwood last year, Matt says he felt uplifted. 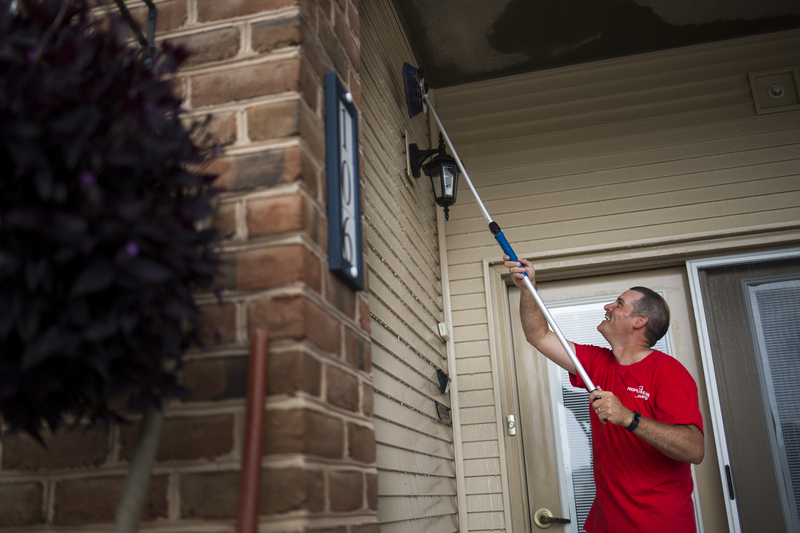 This year, PeoplesBank associates spent the Day of Action cleaning patios for SpiriTrust Lutheran in Hanover, tidying up with the Southern York County Branch of the YMCA, as well as other projects. It’s rewarding for Brooke, not just in the moment, but as time goes on to see the impact she can have in her community.